What comes to mind when you think of a robber or thief? We might visualize a bank robber, a house burglar, or even a shop-lifter. But could you imagine one of your fellow church members, or even yourself, as a robber? It may seem impossible, yet the scripture below clearly states that all those who do not pay their tithes have robbed God. Malachi 3:8-11 Will a man rob God? Yet you have robbed Me! But you say, In what way have we robbed You? In tithes and offerings. (9) You are cursed with a curse, For you have robbed Me, Even this whole nation. (10) Bring all the tithes into the storehouse, That there may be food in My house, And try Me now in this, Says the LORD of hosts, If I will not open for you the windows of heaven And pour out for you such blessing That there will not be room enough to receive it. As we know, robbery is the act of taking something that does not belong to you. God specifically used the term robbery in Malachi to show that the tithe (which means a tenth) belongs to Him. We must understand that God is the owner of this earth, and everything on it belongs to Him. The earth is the Lord's, and all its fullness, The world and those who dwell therein (Psa. 24:1). Elsewhere, the Bible says, The silver is Mine, and the gold is Mine, says the LORD of hosts (Hag. 2:8). Before we become possessive about the treasures of this world, let us first remember that He created this planet and everyone on it, and even though Satan holds a temporary dominion through sin (2 Cor. 4:4), the earth still belongs to God. Furthermore, God is responsible for every means that people have to make a living (John 3:27, Jas. 1:17). Are you a farmer? You plant Gods seeds in His earth and rely upon His rain and sunshine to ripen it to harvest. Are you an auto worker? All the steel, glass, rubber, plastic, oil and gasoline are products from Gods earth. Are you a craftsman? Your talent or skill to work at a trade is given by God. He has given you your brain, eyes, ears, mouth, hands, fingers, legs, and feet that you use to earn your living. Even the silver and copper in our coins, and the wood pulp in our paper currency comes from Gods earth. It is extremely fair of God to only require a tenth to be returned to Him, since He owns 100% of this planet. Unfortunately, many Christians misunderstand the idea of tithing. They often think of it as giving a tenth from their own property to God. However, in reality it is God that has done the giving to us, and claims the return of only 10% of His own property. Tithing is not taking a tenth of our own money and giving it to God, but it is returning a tenth of what was already His to begin with! The scripture says,But who am I, and who are my people, That we should be able to offer so willingly as this? For all things come from You, And of Your own we have given You (1 Chron. 29:14). God is so generous to us. He gives us the 90% and retains only 10% of what is rightfully His. God has chosen for us to personally return the tithe so that we can demonstrate our stewardship of his property. Stewardship is the faithful and responsible management of something that belongs to someone else. Obviously, if God observes that we are irresponsible to return the small percentage that belongs to Him as He has directed, He knows that we can neither be trusted with any greater responsibilities or blessings in the Kingdom of God (Luke 16:10-11). Tithing is a test of our stewardship over the property of God, a test of our honesty to return to God what is rightfully His, a test of our obedience to do what He told us to do, and a test of our love and desire to please Him with our lives. Tithing is a demonstration that we believe in God, and that we acknowledge that He is the provider of all material blessings. If you havent the faith to believe that the tithe belongs to the Lord, neither can you have faith in Him to meet your financial needs. After all, if you dont believe that the tenth is His, you must not believe that the whole earth is His either. Without that confidence in His supremacy, there could be no confidence in His ability to provide our needs. Most of us realize that robbery is a serious offense in our secular society, and those convicted of this crime can be sentenced to years in jail. But what happens to a person who is guilty of robbing God? The scriptures say that he will be cursed with a curse (Mal. 3:9). What kind of curse is this? From Malachi we see that Gods blessing to the tither is to open Heavens windows and pour out abundant blessings, and to rebuke the devourer (Satan) from destroying their increase and fruitfulness (Mal. 3:10-11). In contrast, the non-tither is cursed by having no protection to prevent the devourer from destroying their prosperity, and God cannot shower them with His abundant Heavenly blessings. God cannot bless or protect the prosperity of the person who does not tithe! This indeed is a curse. Some claim they cant afford to pay their tithes. But let me ask, Can you afford to be cursed? Can you afford to not have Gods blessings and protection over your finances? 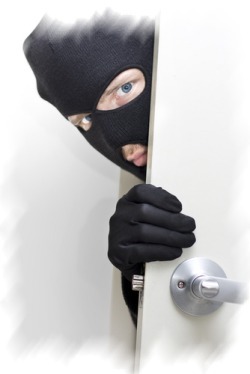 Can you afford to be considered a thief or robber of Gods property? Or can you afford to be a person who does not obey the Word of God? The fact is, you cannot afford not to pay your tithes, because this is the principle that God has chosen to bless you! Another person once asked, Why does God need my tithe? In answer to this question, He doesnt need your money or anyone elses. Remember, God is the owner of the whole universe and all its wealth. However, He has chosen to use your tithes and offerings for the expenses of maintaining spiritual meat in His house (Mal. 3:10). On the first day of the week you are to bring your tithes and offerings to the storehouse of your Church where you are spiritually fed (1 Cor. 16:2). How important it is that we are faithful in our tithes and offerings, as this is Gods method of funding the preaching of His Word and the spreading of the Gospel (1 Cor. 9:13-14). God is blessed by your tithe as an expression of your love and obedience to Him, yet tithing is primarily for your own benefit so that God can bless you. There is a universal law that God has placed in both the natural and spiritual realms. This is the law of sowing and reaping. ...God is not mocked; for whatever a man sows, that he will also reap (Gal. 6:7). The tithe is seed that you plant in God that will bring the harvest of prosperity. All farmers understand Gods law of sowing and reaping. After a harvest in Bible times, before the farmer would use any of the grain as food for his family or livestock, he would first go through the harvest grain and pick out a percentage that exhibited the best qualities of size, weight, color, and set this aside as seed for the next seasons crop planting. This early form of genetic selection helped assure that the next generation of crops would produce higher yields and greater quality. This illustrates our tithe, why it cannot be the 10% that is left over after we pay everything else. The part that God claims and uses as seed is the first and best 10% of your increase, called the firstfruits. Honor the LORD with your possessions, And with the firstfruits of all your increase; So your barns will be filled with plenty, And your vats will overflow with new wine (Prov. 3:9-10). Dont eat your seed grain. Do not use the Lords tithe for anything else! Because if you dont sow, you cant reap. The tithe is Gods property that we are required to return to Him, however an offering is that which we give voluntarily out of our own property after the tithe has been subtracted. As we give our tithes, and give offerings above our tithe to God, He will continue to bless us and multiply our return in proportion to our investment in Him (2 Cor. 9:6). I challenge you to become a tither and a giver to God, and prove His promise to bless you, just as He invites you to do in Malachi 3:10. Give to God in faith, expecting Him to bless your return (Mark 11:24), and give cheerfully, expressing joy and confidence in giving to God (2 Cor. 9:7). The same proportion that you open your faith to give to Him, He will use that same proportion as His measurement to bring blessing back to you! Give, and it will be given to you: good measure, pressed down, shaken together, and running over will be put into your bosom. For with the same measure that you use, it will be measured back to you (Luke 6:38). This article (VL-131) is copyrighted © by Dr. Dale A. Robbins, 1990-2019 and is a publication of Victorious Publications, Grass Valley, CA - Nashville, TN. Unless otherwise stated, all scripture references were taken from The New King James Bible, © Thomas Nelson Inc., 1982. You may download this article for personal use as long as you retain credit to the author. Obtain permission before reproducing copies for any reason, by filling out our simple use permission form. Many of our writings are also available as free pdf tri-fold pamphlets, which can be downloaded for reproduction from our Online Catalog. For media reproduction rights, or to obtain quantities of this title in other formats, email us. If you have appreciated these online materials, help us reach the world with the Gospel by considering a monthly or one-time tax-deductable donation.